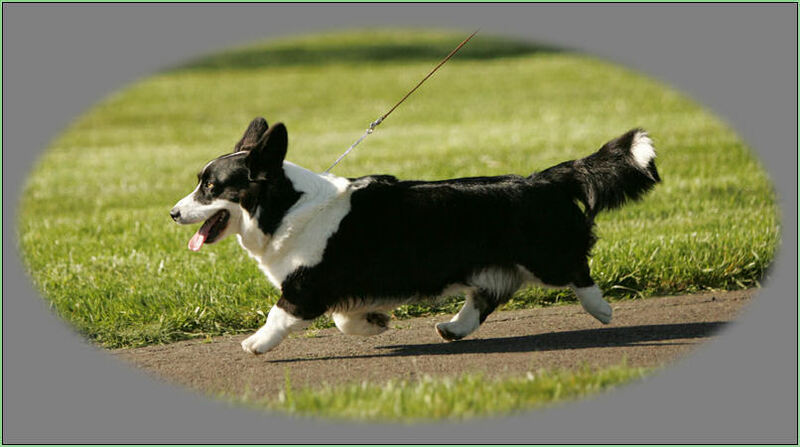 The flying trot or full suspension gait is very rare in Cardigan's. 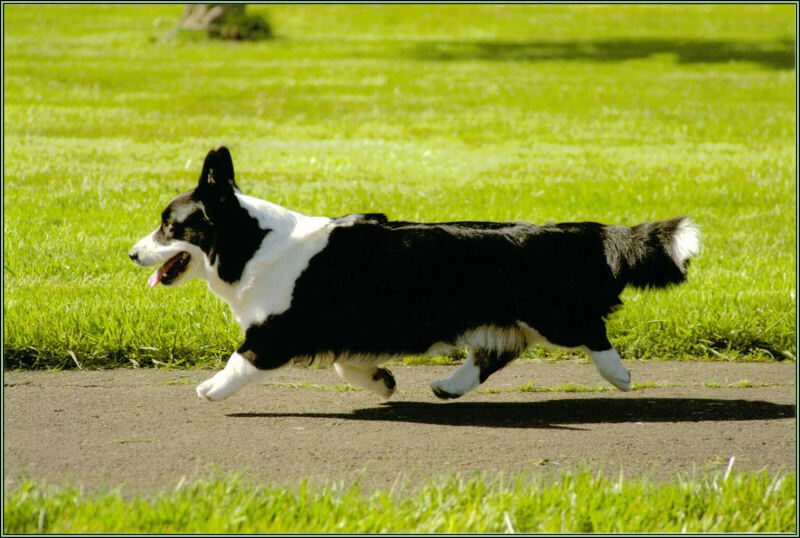 It demonstrates the epitome of structural perfection, where the dog is using the least amount of energy to cover the greatest amount of distance. 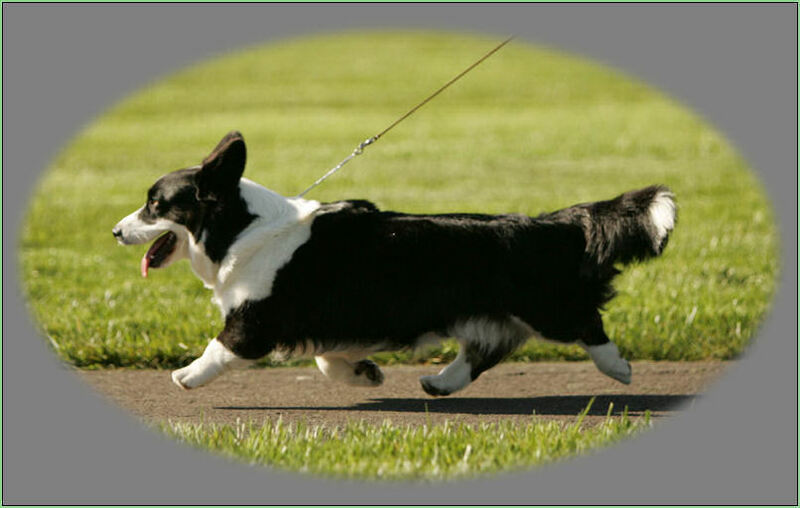 The dog literally becomes airborne during each cycle of movement. 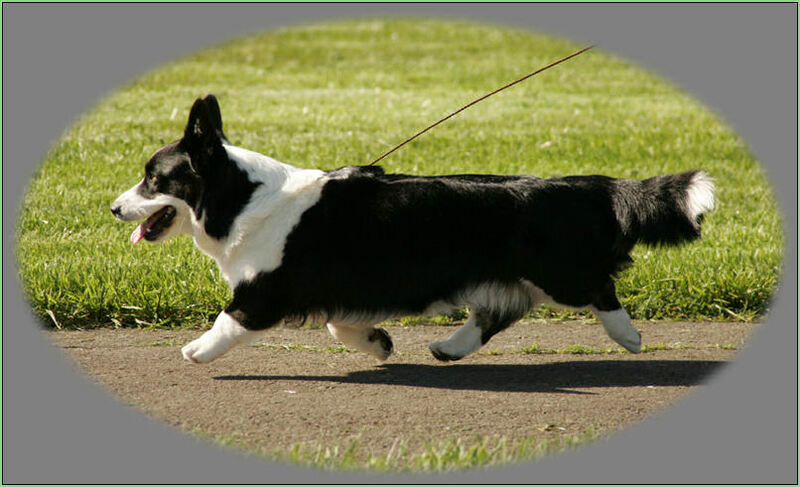 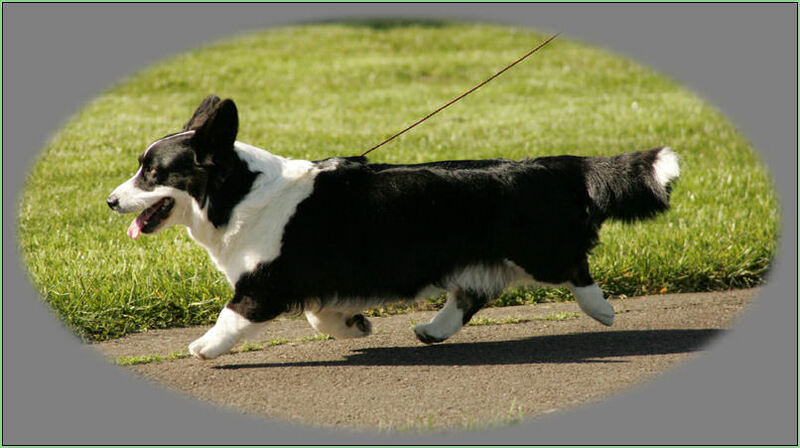 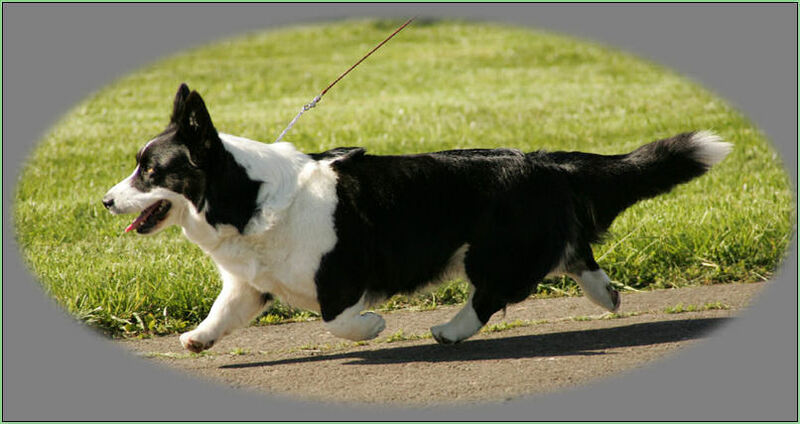 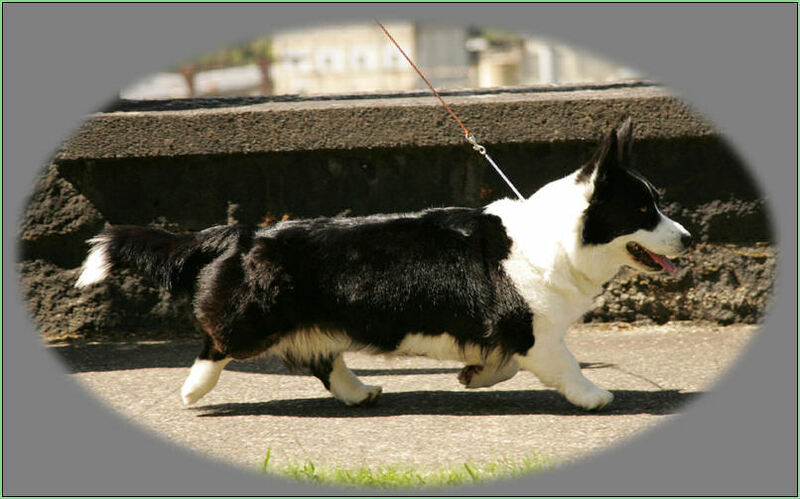 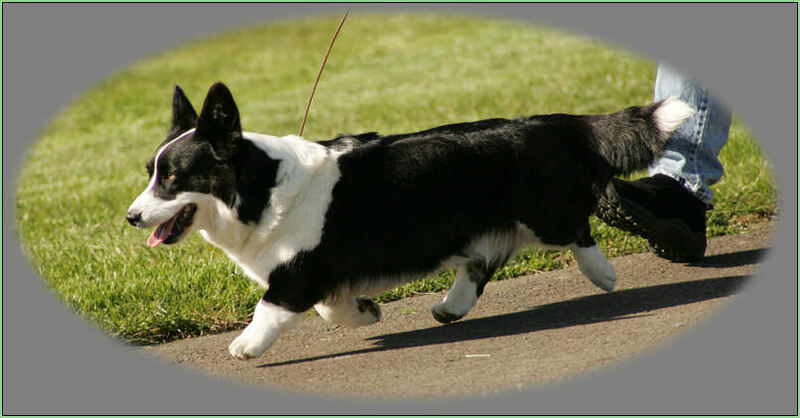 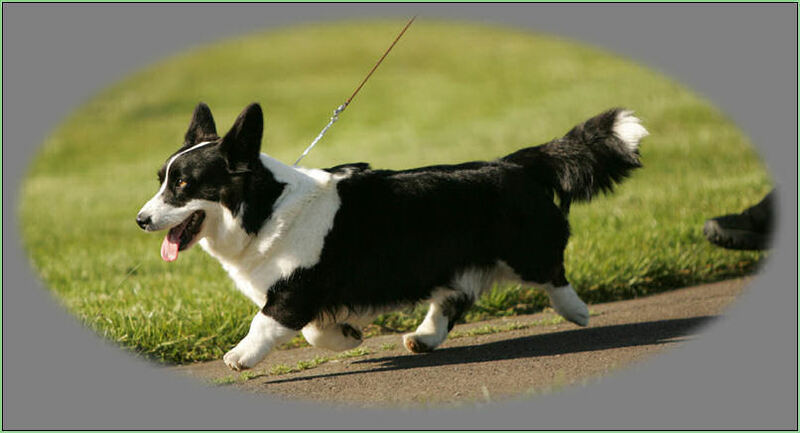 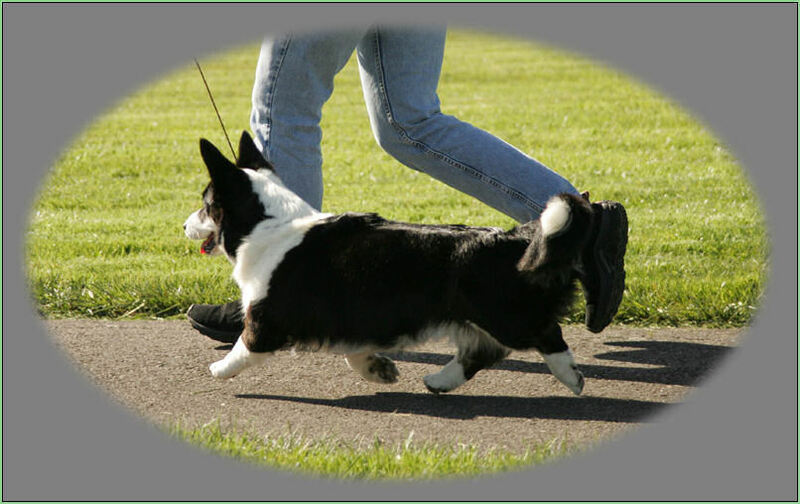 Efficiency of movement is very important in the herding dogs for obvious reasons.